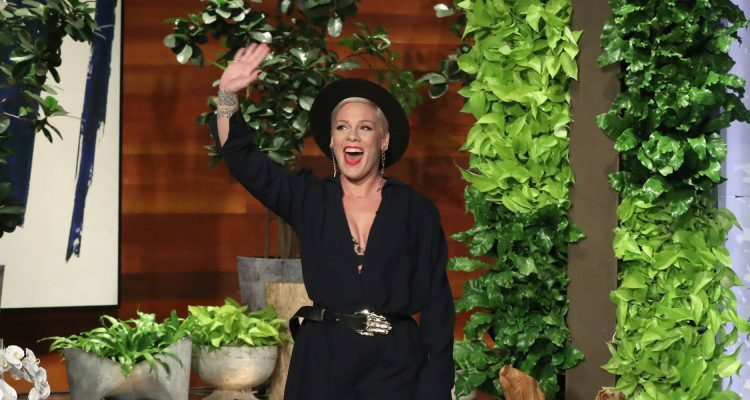 P!nk stopped by The Ellen DeGeneres Show on Wednesday (February 6th) to announce that she has a new single and album on the way. The track, titled “Walk Me Home,” is set to be released on February 22nd, and fans can expect a full-length project, Hurts to Be Human, sometime in April. While on the set, the “Secrets” singer also treated the audience to a snippet of the song, belting out the lyrics, “Walk me home in the dead of night/I can’t be alone with all that’s on my mind/Say you’ll stay with me tonight/Cause there is so much wrong going on outside,” a capella. In addition, P!nk, who recently received a star on the Hollywood Walk of Fame, revealed during the appearance that she’s set to shoot the music video for “Walk Me Home” next week with Michael Gracey, director of The Greatest Showman. The collaboration is quite fitting, as she recorded her take on “A Million Dreams” for the hit movie musical’s 2017 covers album. Hurts to Be Human will be P!nk’s eighth studio album, and is the follow-up to her Grammy-nominated RCA Records-released Beautiful Trauma. Watch the video excerpt from Ellen below.